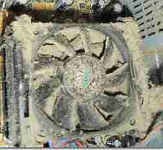 a hot environment, blocked vents or dirty fans causing overheating (especially on laptops). failure of fan bearings causing excess noise, overheating, and eventually leading to fan failure. electrical surges on mains or telephone lines. From bitter experience we recommend all connections to mains and telephone lines be surge protected. mechanical damage - breakages, wear and tear on laptop parts especially the keyboard, or disturbing the computer when the drive is running. degredation of components with time - especially hard drive, power supply, batteries and capacitors. What does a hardware service on a conventional PC (not an all-in one, laptop, tablet etc) include? Clean outside of case and vents, monitor screen and keyboard. Visual inspection of motherboard, check all connectors for tightness and fix / replace as required. 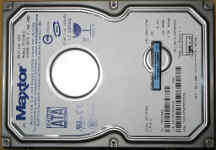 Check power supply and hard drive(s) and advise if replacement is indicated. * overly enthusiastic cleaning can itself cause damage through disturbance of components or static discharge. The main causes of failure in laptops less than about 4 years old are due to mechanical damage - broken screen, failing keyboard etc. All of these are repairable. In particular many laptops (especially HP ) suffer from broken hinge fittings. I have a new way to repair these that does not impair the appearance or stability of the case. In SOME cases we can also recover some of your data from the hard drive. You should be aware that, unlike tower PC's, laptops are not designed for maintenance, and there is always some risk of collateral damage during the repair process - depending on how much disassembly is required.